Use your own words. The planning department will put identical submissions onto a heap. Make yours unique and they are compelled to treat it on its own merit. You are not required to create a huge wonderfully formatted document. If just one of the headings below inspires a comment, then write it up and submit it. If later you want to add a comment on another topic, submit that. There is no limit on the number of valid, useful comments you can make. Where possible quote the relevant policies. This can be difficult, we will do our best to help. Relevant policies include Haringey’s Local Plan and the National Planning Policy Framework. 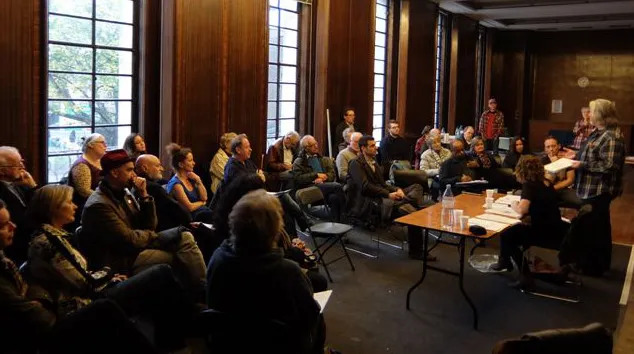 You can also send your comments to your local councillors, the Crouch End Ward councillors, our local MP, and members of the planning sub-committee. Submit your comments by 27th of September. Effect of the new development on Hornsey Town Hall as a Grade 2* listed building in a Conservation Area. 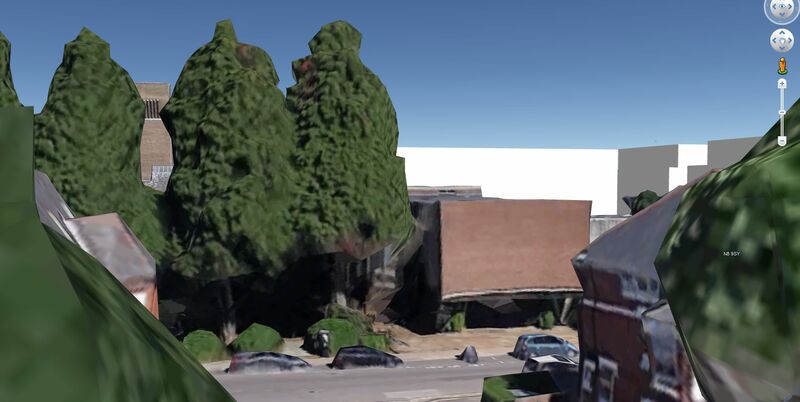 Does this proposal enhance the setting of HTH and the Conservation Area or does it detract from it? The design is generic and unsympathetic to the character of the surrounding neighbourhood. Is the restoration sympathetic and appropriate? Is there enough information on the proposed restoration? The details on materials are incomplete, for example the form of the upgraded windows, and should be supplied. The HTH Planning Statement incorrectly asserts that surrounding streets are mainly 3 and 4 storeys high. They are actually lined with 2 storey houses. Therefore the 5, 6 and 7 storey blocks are out of keeping with the local context and character. Impact of loss of daylight and sunlight on properties adjoining the development, both within the houses and in their private amenity space, in particular the gardens and backs of Weston Park and Primezone Mews. Further modelling should be provided showing the overshadowing effects throughout the day and the year. There are rules on change of use for non-designated employment land and floorspace, requiring the applicant to demonstrate that the site is no longer suitable or viable for the existing use. 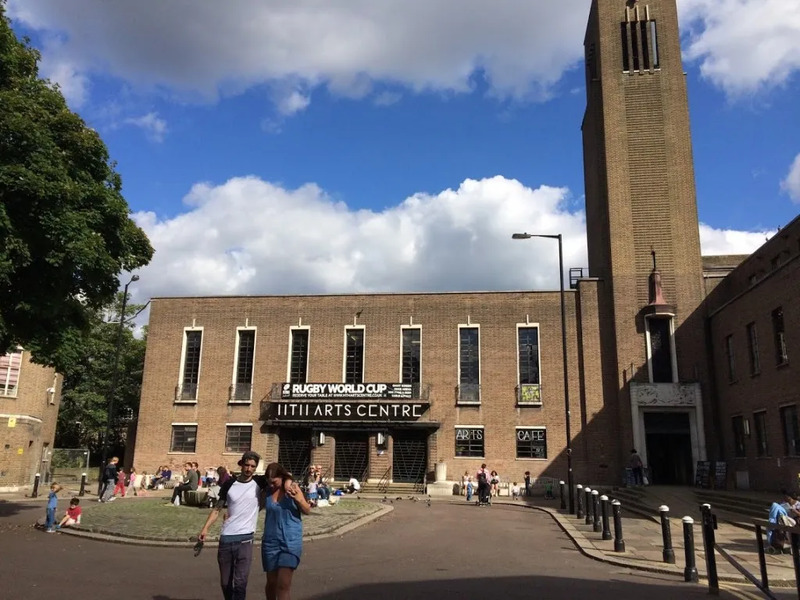 Hornsey Town Hall is demonstrably both suitable and viable for its existing use. Crouch End is anyway short of office space. Change of use from office to residential is now assumed to have permission, but not in the special case of a listed building. This proposed change of use should not be permitted. There is now an objection on the Haringey web site which sets out very clearly the reasons why there should be no loss of office space. This is very closely related to the change of use. Will there be more traffic in the immediate and surrounding area? If yes, can the roads cope? The applicant’s traffic survey and traffic plan fail to take into account that everyone who travels to or from Crouch End by public transport must first make a bus journey. By ignoring this fact, their traffic plan is entirely questionable and should be resubmitted. TfL has commented on the planning application. They have concerns about the impact of additional passengers on the bus network at peak hours, especially as the W7 is at capacity. As a result they have asked for £475,000 to mitigate the effects. There will be an increase in service and goods vehicles of at least 54 vehicles. The management plan requires residents and staff expecting deliveries to inform delivery companies of the route they should take to reach the site. This is not realistic, and will likely result in service and goods drivers turning left into Haringey Park, to the detriment of the local residential streets. How will local provision of school places cope with the additional 495 people in the new residential blocks? The EVA proposes a profit margin of 19-20% which is unacceptably high for a publicly owned site. There are currently around 75 small businesses operating out of the town hall, employing about 130 people. There are no plans to relocate them as part of the redevelopment. The council’s Economic Development Team commented on the planning application that HTH is “vacant or underused in employment terms”. This is incorrect. The Mayor of London is running a campaign to create more workspaces for small and start-up businesses. Much greater consultation is needed on these plans to achieve a design that will work for the residents of Crouch End and for the festival. National guidance for heritage assets demand that new uses are sustainable. The arts and community uses are a principal public benefit of this project. Further details about the viability of the arts centre must be submitted and assessed. These are not planning objections but relate to the way that the planning process has been followed. Haringey has signed a development agreement with FEC prior to knowing what FEC is actually going to do. This effectively negates Haringey’s negotiating position. The header image on this page shows a view of the library from Ivy Gardens. One of the proposed new blocks is shown behind the library. The image has been created by Stephen Richter. Finally an Arts Operator has been announced. Well an operator, anyway. http://www.restoringhornseytownhall.com/arts_operator_announcement and, as it says in the final sentence, just the planning to sort out now.